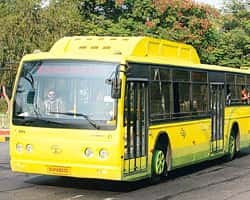 New Delhi: Taking a cue from Delhi, eight cities have initiated plans to launch bus rapid transport systems (BRTS), or dedicated bus lanes segregated from the rest of the traffic. “Bus systems are the backbone of public transport in most cities. On an average, 60% of a city’s commuters travel in buses. In Kolkata, the number goes up to 90%," says S.K. Lohia, director, Union urban development ministry. Of these, Indore and Ahmedabad have already undergone advanced detailing of the projects. The pilot project in Delhi is at the most advanced stage and a stretch of 16km out of 100km is expected to be functional by the end of this year. But the system, which is yet to be set up in Indore, has gone a step ahead by deciding to apply for registration to earn carbon credits out of the project. Under the mission, cities with a population of more than four million receive 35% of investment; between one and four million receive 50% and less than one million get 80% of the total cost. Until now, 287km have been cleared under the transport system at a cost of Rs2,427 crore. Senior ministry officials, who did not wish to be identified, said grants under the mission have motivated cities to pitch for the project. Some experts maintain that if bus systems carry a higher percentage of commuters, then it makes sense to dedicate part of the road to them, which would ensure faster and more disciplined traffic. “Out of 35 cities which have more than one million population, only three or four cities have proper city bus systems," says Anumita Roy Chowdhary, associate director, Centre for Science and Environment. Studies on Delhi’s pilot project show that after segregating bus lanes, capacity of motor vehicle lanes will increase by 25%. Though Pune did experiment with a kind of dedicated system of bus lanes, the lanes were not physically segregated and has not been very successful. “The Pune plan isn’t an actual BRTS but it is giving BRTS a bad name," says a ministry official, who did not wish to be identified. Even cost-wise, the transport systems are a much cheaper way of making commuting easier. While underground metro systems cost $40-$90 million (Rs166-374 crore) per route km, the bus system costs $2-$10 million per route km. “Moreover, a metro system can’t exist everywhere. All these systems have to be integrated to be successful," says Chowdhary. Internationally, successful bus systems exist in China, Indonesia, Colombia and Brazil. The success of such systems around the world is dependent on the pedestrian, bus and feeder systems integrating at the same level, and elevating it typically increases cost. Several cities are also looking to earn carbon credits by migrating to such transport systems. International precedent already exists: The system in Bogota, Colombia, was recently registered by the Clean Development Mechanism board in Bonn to earn credits. The board, set up under the Kyoto Protocol, validates and registers projects from developing nations which reduce greenhouse gas emissions. For every tonne of carbon dioxide these projects reduce, they earn one carbon credit. Developed countries which have ratified the protocol are mandated to reduce their emissions by certain targets. As it is more expensive to change over to cleaner technologies in developed countries, these countries buy reduction certificates or carbon credits from developing countries, thus reaching their reduction target to combat global warming. If the Indore system is registered, the project will earn approximately 80,000-90,000 credits annually. However, preparing the baseline for emissions and then proving the reduction is expensive and tedious. “The Bogota project got approval, but after five years," says Lohia. The Bogota project is earning 300,000 credits a year. “The methodology to receive approval for credits requires extensive surveys as it will have to calculate carbon emissions per capita per km and this will have to be done every year," says an official, who did not wish to be identified. To get the green signal, the whole system has to be overhauled. First, old buses have to be phased out and the shift of commuters has to be proven. Moreover, feeder buses also have to run at a parallel level.